WordPress is an amazing content management system solution. We have been in business doing web design in Kansas City since 2003 and we have experience with Joomla, WordPress, Magento, Drupal, DotNetNuke, Umbraco and custom CMS systems. WordPress is the best. 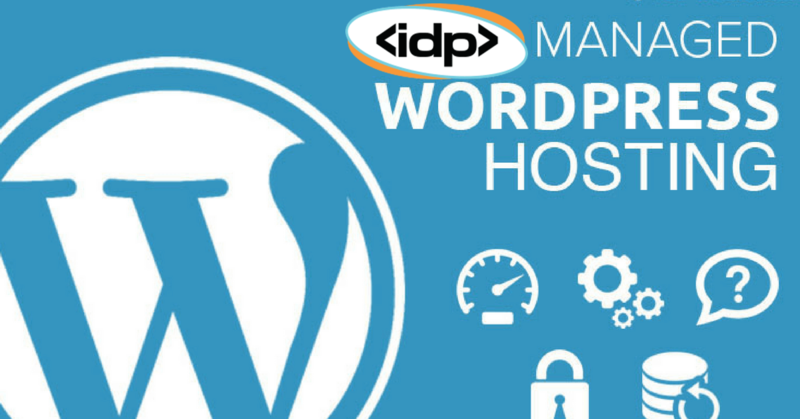 WordPress has an excellent user interface, it is very search engine friendly and the software is easy to update and keep secure. With so many people using WordPress to run their web site it is really important to understand basic SEO work in WordPress. Develop & Build an SEO Friendly WordPress Theme – Be careful which theme you select for your site. A lot of themes are bloated with code, slow to load and are not built correctly. Your WordPress theme should be lightweight and quick. We develop our own custom WordPress skins based on the Bootstrap framework. If you can’t build your own skin that is ok just find a theme that is not too bloated and slow. Responsive Web Design & Mobile Friendly – Any new website built has to be mobile friendly responsive. Test out your site with Google mobile friendly test tool. If your website is old and not a responsive design I would recommend re-building it. It would be a waste of money to spend money or time on search engine optimization if the website is not mobile friendly. Speed – Web page speed is critical today and you will not have great SEO results with a slow website. Slow sites do not work on mobile devices and the fact that they are slow makes them not responsive. Test out your site speed on GTMetrix. we recommend the W3 Total Cache plugin for WordPress speed optimization. There are a lot of advanced settings you can enable. Some of the settings may break your site so you need to test each one and see what works for your web site. The plugin also has a really simple integration with MaxCDN which is a content delivery network. If your target audience is nationwide you should consider a content delivery network to speed up your site geographically on a CDN cloud. SEO Testing Tools – There are a lot of good SEO testing tools available on the web that will help you determine what types of strategies you should be looking at. There is not one single thing you can do to improve SEO. SEO is like a big jar of jelly beans. There are hundreds of jelly beans in your SEO jar. Each jelly bean is important and it is the sum of all of the jelly beans that really puts you over the top. Test out your SEO on a Free SEO checker like SEOSiteCheckup. This site will give you a list of all of your “jelly beans” and score you on how you are doing. Yoast SEO Plugin for WordPress – We recommend installing Yoast free plugin for WordPress. WordPress out of the box is very SEO friendly. But the plugin will help you setup some additional things and measure how will your keywords are integrated into your pages. Setup your sitemap.xml file in the plugin. A great tutorial guide is available on the Yoast WordPress SEO page. Google Webmaster Account & Google Analytics Account – Neither of these accounts will help you improve your SEO, these accounts are to help you measure and diagnose your search engine optimization. The Analytics account is going to show you your traffic, visitors, top pages and referral sources. The webmaster account is going to show you web site errors and problems you may not know about. The webmaster account also allows you to attach your sitemap.xml file to the account for Google to crawl your pages. The webmaster account is more technical in nature and shows diagnostics of your web site and web hosting. The Analytics account is more marketing in nature. Unique Page Content, Title Tags, Meta Descriptions & H1 Tags – Every page on your website needs to have unique content. You do not want duplicate content. Make sure your page Titles are unique, meta descriptions are unique, H1 tags are unique. Go thru your site page by page and tweak your Title tags, meta descriptions and H1 headline text. The Yoast plugin makes this easy. Content is king. More pages and a lot of content will really help your SEO.